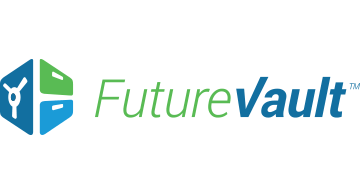 FutureVault is a Toronto-based FinTech startup that in the past 2 years has created a new product category called Personal Data Management that takes secure file storage, organization and sharing to the next level. Sponsors become the quarterback of their clients’ financial and legal lives by providing a branded digital filing cabinet to securely organize all of their important documents while enabling enhanced collaboration with trusted advisors. FutureVault uses best practices in bank-grade security and end to end encryption to protect client’s documents from data loss and identity theft. Our patent-pending smart filing technology combines optical character recognition and structured categories, folders, and suggested documents to make it easy for clients to organize their personal, legal and financial affairs. Clients can share documents, schedule key reminders and track all activity with your organization and other Trusted Advisors to save time, money and create peace of mind.